IVI knows air: a sophisticated ventilation system creates an optimal environment for your potato and onion storage. 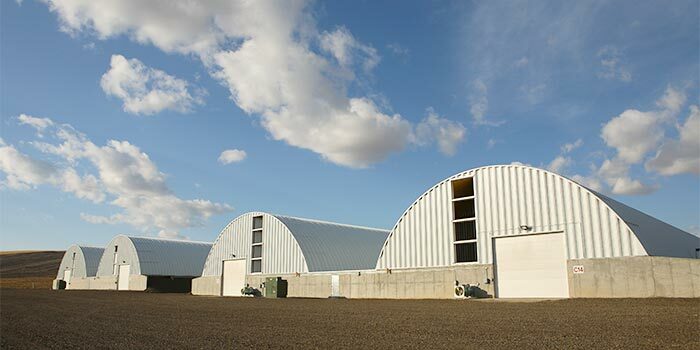 Industrial Ventilation, Inc. (IVI), based in Nampa, Idaho, is the world leader in potato and onion storage technology. Our complete storage ventilation systems, equipment and products are your best source for managing your post-harvest crop storage. In addition, we specialize in optimizing our programs for your individual storage needs — based on your specific crop, storage location, and storage objectives. Furthermore, our systems are easily adaptable and can also be used in textile, paper product and wood working facilities. We know your goal is seeing the highest quality product to market, and with our ventilation systems and equipment, we can help you achieve it.